SimCentric’s primary remit is to deliver software simulation solutions for military training that remove the soldier from danger where possible, or to mitigate to the greatest extent residual risk of live activities, whilst delivering realistic, accredited training outcomes. Our motto says it all – “Enabling Safe Employment of your Combat Power”. For over a decade SimCentric has strived to be a thought leader in the fields of AI and Machine Learning, blending our technical credentials with an extensive knowledge and context of military training and capability generation methods, resulting in tangible, relevant and cost-effective solutions employed worldwide. Global Presence with offices in the US, UK, Australia and Sri Lanka. Our desire to build quality applications and middleware goes well beyond a commercial incentive. At SimCentric we want to drive systematic safety enhancements in military training that delivers tangible capability whilst preserving the welfare of soldiers. Collaboration with our user community to understand their requirements, challenges, risks and needs, then working constructively over the long term to be a high quality, reliable part of the solution is at the core of this philosophy. SimCentric’s senior leadership includes two PhD’s in Artificial Intelligence from Oxford University, and the former head of Training Development within Australian Special Forces, blending both technical and training expertise. Complementing this, our software engineers hold both Bachelor and Masters level qualifications, with many cross-trained across multiple coding languages in order to best achieve customer requirements. At SimCentric we focus on quality over quantity. Our motivation is to deliver “best in class” software solutions for use across various synthetic environments and hardware configurations supporting training, research, planning and operations. Through this model of agnostic, standards-based software modules, the flexible transferability of our products mitigates against “creative destructionism”. As the user evolves or changes their synthetic environment or hardware configurations, SimCentric’s advanced applications also transition with ease, thereby ensuring long term reliable availability and genuine system modularity. It’s not good enough to deliver “the shiny black box” that is generic, mass produced, and misaligned with how the user community trains and generates capability. 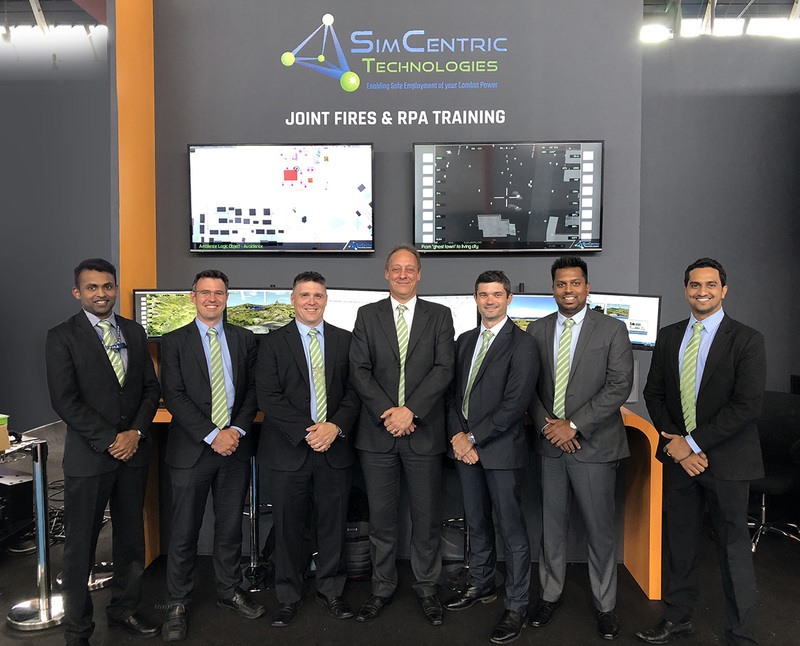 At SimCentric we pride ourselves on achieving a deep understanding of how our user community trains and generates capability to ensure we tangibly enhance capability, reduce risk and save resources. Our focus is squarely on comprehensively understanding the customer requirements, from which we then generate a customized and fully integrated solution.